Chord centralizes all your music in one place. There are dozens ofinternet music service providers, each one having tracks that arespecific to their site. Chord combines local music, Spotify, andSoundCloud into one interface that you can use to manage playlists,play songs, and share music. Chase is an offline, single player game. In the game, you will beplaying as a blue circle, chased down by red circles that destroyyou on impact. However, you are not defenseless–use the power ofyour green circles to destroy the red circles and gain points. Asthe game progresses, more red circles will be appear morefrequently and the you will become faster, until the game reachesits limit where you must sustain yourself for as long as you canand gain as many points as possible. Solve that Rubik's cube that's beengatheringdust for too long!This app takes uses camera video to detect the faces ofyourRubik's cube, and then guides you to solving the cube withliveon-screen directions overlaid onto the video feed.No more comparing your cube to diagrams, or tediously enteringinall the face colors to receive instructions!Features:- Smart color recognition for scanning cube faces- Real-time step-by-step walkthroughTips:- Color recognition currently optimized for low-lightconditions,and be sure to position your cube to minimize glare.Note:This is a work in progress. Our application currently only solvesanunsolved top layer, assuming you have already solved the middleandbottom layer. Whether it be a company dinner, family outing, or wild party, thelast thing on your mind is math. Enjoy your time and leave thecalculations to TipIt. This app bundles everything needed whenexploring the world, both in the US and out. The simple interfacegets the job done with little to no effort from the user. KeyFeaturesTip Calculator Like the name implies, the main feature ofthis application is tip calculating. With a few inputs, the tip canbe calculated with a default tip %, or any other value that suitsyour fancy.The main feature of the app is to calculate thesuggested tip you should pay based on your meal cost and tippercentage. In addition, you can change the current currency if youare dining in a foreign country.Bill SplitterBut why stop there,add another number and with a simple tap the bill can be easilydivided among you and your friends. Never argue over each person'ssplit again! After calculating the tip, you can use this feature tosplit the cost of your bill evenly among your peers. CurrencyConverter (Coming Soon)Out of town and visiting an exotic new land?No problem for TipIt, TipIt also has a built in currency convertorthat automatically updates to the most accurate currency exchangerates while connected to wifi, 3g, or 4g. With TipIt you’ll alwaysknow the value of every purchase while abroad.Many more featurescoming soon!Feel free to send us ideas for what you want to see inthe app. This app will let you discover a whole new world of secretrestaurant items that are not disclosed on the official restaurantmenus. With over 20 different menus and 300 delicious items, you’regoing to be in for some mind-blowing surprises. Stop eating thesame mundane foods when you go out, and add some excitement to yourlife. Download this app, and take a look at what the world has beenhiding from you, MyLittleSecret. For beginners and experts alike, this app creates customizedworkouts with just the click of a button. Simply select the musclegroups you wish to work on, and a personalized workout plan will begenerated instantly. Features:- Simple, easy to use layout-Includes an example video* for each exercise- Utilizes compoundexercises to work on multiple goals at a time- Varies workoutroutines for muscle confusionInstructions:1. Select the musclegroups to generate workouts for2. Tap on a specific exercise toview its instructional video3. Swipe left and right on the bottomof the screen to view different workouts if multiple weregenerated*Videos streamed via Bodybuilding.com. Check out theirwebsite for more information! Pixel Dungeon is a traditional roguelike* game with pixel-artgraphics and simple interface.Explore the depths of Pixel Dungeon,collect useful items, fight fierce monsters to find Amulet ofYendor (surprise!) - the ultimate artifact of this game world. *FromWikipedia: "Roguelike is a sub-genre of role-playing video games,characterized by random level generation, tile-based graphics andpermanent death. "Many people consider this game very difficult andluck-based. Anyway, you will die often. You are warned! :)PLEASEHELP ME TO MAKE THIS GAME BETTER!• In case of crash or freeze press"Report" button, it really helps to find the bug• In case ofincorrect behaviour of the game please contact me by email so Icould ask you about the detailsPixel Dungeon is open source andfree software. The source code is available at GitHub:https://github.com/watabou/pixel-dungeonCheers! 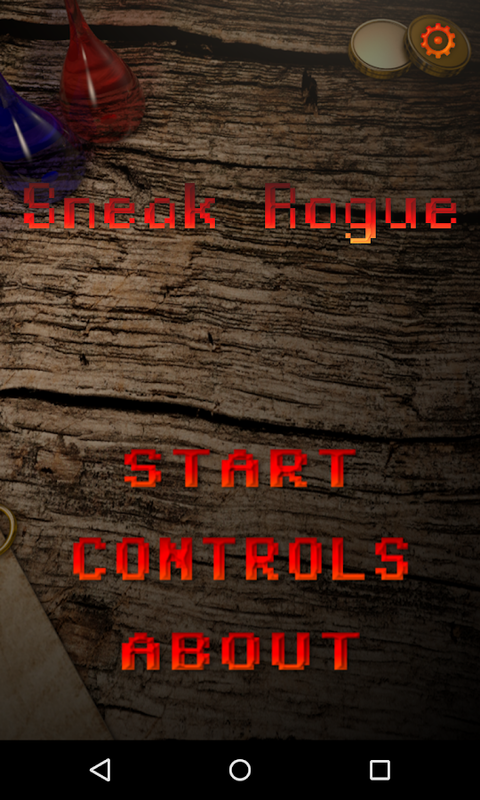 Rogue Life (Free to Play! )The ultimate crossover game is finallyhere!Embark on a unique and exciting adventure where you shootmonsters while you evade a barrage of bullets, projectiles andmissiles. Can you survive until the end?Put your dodging skills tothe test in this never-before-seen shooter x RPG crossover!Mix andmatch costumes to style your characters! Like ‘em cute? Like ‘emheroic? Like ‘em tough? It’s all up to you!Live the Rogue Life bychopping wood, mining, studying, planting, baking and more! Workyour characters hard, till they drop!Features:▶Easy to play andaction-packed!▶Defeat monsters and bosses in various single playermodes▶Real life simulation in your squad home – collect upgradematerials by working your squad members to the bone!▶Recruitdifferent characters▶Over 300 costumes – customize characters tosuit your style▶Exciting PvP battles – 3 vs 3 on the battlefield,max 12 members per team▶Tons of stages, quests and modes – there’sso much content to enjoy!▶Level up your characters from wanderersto elite rogues!Story:Once upon a time, brave warriors fought anddefeated the Demon King. The world finally embraced an era ofpeace.The age of tranquility continued for a long time that peoplehave forgotten what it’s like to be in danger. One day, monsterssuddenly wreak havoc and the world is once again thrown into chaos.So the brave warriors have gathered to begin their adventure inbringing back the peace that was lost.